We are an established and experienced garage roofing company offering a professional service. We specialise in the replacement and refurbishment of garage roofs throughout Scotland. Is your garage roof cracked, leaking, damp and mouldy? We can refurbish or replace your garage roof using top quality materials supplied by Lidgetcompton - a UK market leader in garage supplies and installation. Our prices are very competitive. Payment is only requested when you are fully satisfied with our work. All work is guaranteed for 10 years. Find out more about the apex and pent garage roofs we can install. Do you have an old asbestos garage roof? We are licensed by SEPA (Scottish Environment and Protection Agency) for removal of asbestos garage roofs. We will safely remove your asbestos garage roof and and take the asbestos sheets to a waste disposal site where they will be weighed and put in an sealed licensed container. The necessary consignment notes will be completed ensuring that the material has been properly disposed of. All work is usually complete in one day. Paul Mclean has operated as an agent for Lidgetcompton in Scotland selling and installing garages for 14 years. He can provide you with the following as part of his services: free site survey, removal of existing garage and a new concrete base can be laid to Lidgetcompton specification. 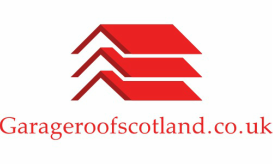 He now also specialises in a garage roof replacement and refurbishment service covering the whole of Scotland. ​He regularly carries out work in Edinburgh, Glasgow, the Central Belt, Dundee and Aberdeen but is happy to travel further afield if required. I have no hesitation in recommending this Company to fix your garage roof. Paul and his colleague provide a prompt and efficient service from start to finish with great attention to detail, accuracy and standard of work using high quality materials. My 40 year old "Marley" sectional garage had a cement fibre (? Asbestos) roof. This has been replaced with modern corrugated material and new wooden wooden surrounds covered with brown woodgrain, uPVC facias. It now looks very good and is ready to face the ravages of our Scottish weather. We are delighted with the job that you did on my mother's garage roof. The asbestos removal, and new roof were completed in 1 day. No fuss, no mess...just a professional service and a quality finish. We would have no hesitation in recommending Garage Roof Scotland to any potential customers. Great company to deal with, a nice neat job made of replacing our asbestos roof, all work carried out in one day. Highly recommend. We now have a dry garage with a smart new roof thanks to Paul & Jim who replaced the old,leaking asbestos roof which had been causing problems for some time. From our original enquiry to the completion of the work we were regularly updated on progress. The job was completed within 6 hours,the area was left clean and tidy and they even went out of their way to source a replacement hook for the washing line! Paul and Jim are a highly skilled professional team who did an excellent job and we wouldn't hesitate to recommend them to others.